Tata Chemicals Europe had three reasons to be cheerful last month as they celebrated three recipients of the Managing Director's Safety Award in the same week. 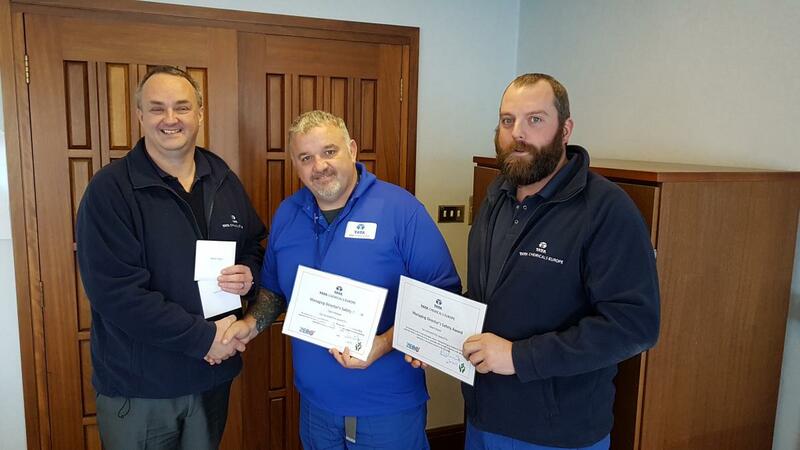 The unprecedented triple award included a double presentation to Warehouse Team Leaders Colin Hickson and Adam Doyle (right), who were recognised for their roles in improving safety culture at Middlewich. Colin and Adam were heralded for their outstanding contribution, particularly for their hard work and initiative surrounding TCE's safety incident-reporting platform. The pair have supported others in identifying potential issues, upholding our high standards in workplace transport and food safety. Presenting the award, Managing Director Martin Ashcroft said: "It important for us to realise our own vulnerabilities and to address them. We are highlighting concerns, we are working on solving them. We are driving WSO, so it's only right that this hard work is recognised. And just a few days previous, Steve McCormick was presented with the award last week for his ownership of a special safety project involving chemical storage areas. 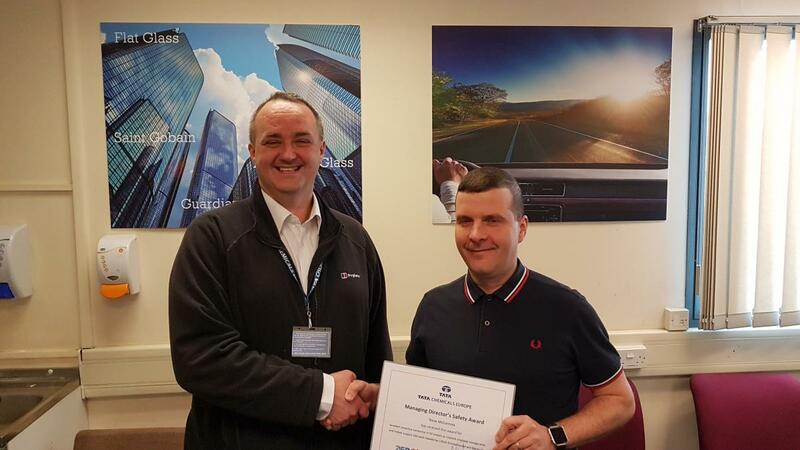 Presenting Steve's award, Managing Director Martin Ashcroft said: "I'm particularly pleased to present this award as this is an area that defines what our site is all about. This is a 'spot on' award."